Israel does not defend itself as a right, but an OBLIGATION. A government is meaningless if its primary purpose is not to actively and forcefully defend its citizens and borders from attacks. 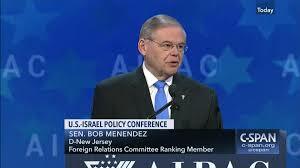 Menendez calling the response of Israel a “right” softens the role of the Israeli government. The government has a “right” to engage in trade policy with another country. It has a “right” to decide who to let into the country. But defense is not a “right” which may or may not be acted upon; defense is an obligation – and the primary one – for every government in the world. Why did Menendez strip the Gazans of responsibility for their situation and paint them as suffering victims? Hamas isn’t simply a terrorist group like ISIS – it’s an official political party of the Palestinians, no different than the Republican and Democratic parties. The Palestinian Arabs elected Hamas to 58% of the parliament, a whopping majority, even though the Hamas Charter is the most vile antisemitic charter on the planet, calling for the death of Jews and destruction of Israel. Further, if presidential elections were held, Hamas would have beaten Fatah in every single poll, except for the most recent one in March 2019, and the only reasons for Hamas’s drop in the polls was Palestinians loving Fatah’s Mahmoud Abbas’s refusal to soften his stance on paying the families of terrorists who murder Israelis, and Arab anger over Hamas’s crackdown on protests. But make no mistake: between one-third and one-half of all Palestinians still want an “armed struggle” against Israel. Israel is not in an optional battle against a rogue terrorist entity; it is in an ongoing war against a people at its borders who want to destroy it. If a proud defender of Israel like Bob Menendez cannot articulate that clearly, how can we expect more from the ill-informed members of Congress? As AIPAC kicks off its 2019 conference in Washington, D.C., it is worth reviewing some basic statistics about this pro-Israel lobbying group. In addition to its work lobbying the US government, the OSF directly funds many anti-Israel organizations according to NGO Monitor, including Adalah, Breaking the Silence, Ir Amim and Al-Haq. That’s just one giant far left-wing lobbying group countering most of AIPAC’s agenda. The left-wing J Street has likewise repeatedly fought the current Israeli administration and lobbied aggressively against it, and spent more money lobbying Congress in 2018 than AIPAC, a total of $4 million. Not one dollar of J Street went to Republican candidates, which is not surprising as it is really an alternative to the Republic Jewish Coalition, not a broad-based bipartisan group like AIPAC. When it comes to foreign countries lobbying the US government, the number one country was South Korea, spending $82.5 million in 2018. I do not recall hearing any of the Democratic candidates for president who ran to the defense of Rep. Ilhan Omar’s remarks about AIPAC talking about South Korea. That’s Israel at number five- behind Bermuda and Ireland. But the liberal media will print articles about the pro-Israel lobby as if it’s a right-wing money machine – even though AIPAC doesn’t give money to candidates while J Street and the OSF do. It will try to defend Ilhan Omar’s AIPAC lobbying comments, while refusing to actually point out that it’s the left-wing groups like OSF and J Street that are really powerful and spending the money to trash Israel. Perhaps the New York Times is getting money from J Street and George Soros too? J Street touts itself as an alternative to AIPAC, the American Israel Public Affairs Committee. It is not. It is the liberal alternative to the Republican Jewish Coalition, the RJC. By not using a clear delineator that the group is a left-wing partisan organization by using a name like Progressive Jewish Coalition, J Street misleads the public that it is a mainstream group. 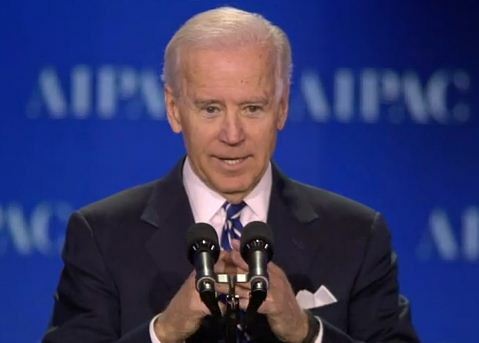 It uses a benign tagline “The Political Home for Pro-Israel, Pro-Peace Americans,” as opposed to the more clear tagline as used by the RJC, “Fostering & enhancing ties between the American Jewish Community & Republican Lawmakers.” By doing so, J Street has attempted to displace the actual bipartisan mainstream group AIPAC. It is completely misleading. As evidence of its partisanship, consider that the people JStreetPAC supported in the 2016 election were all Democrats. There is no crime in being a partisan group. 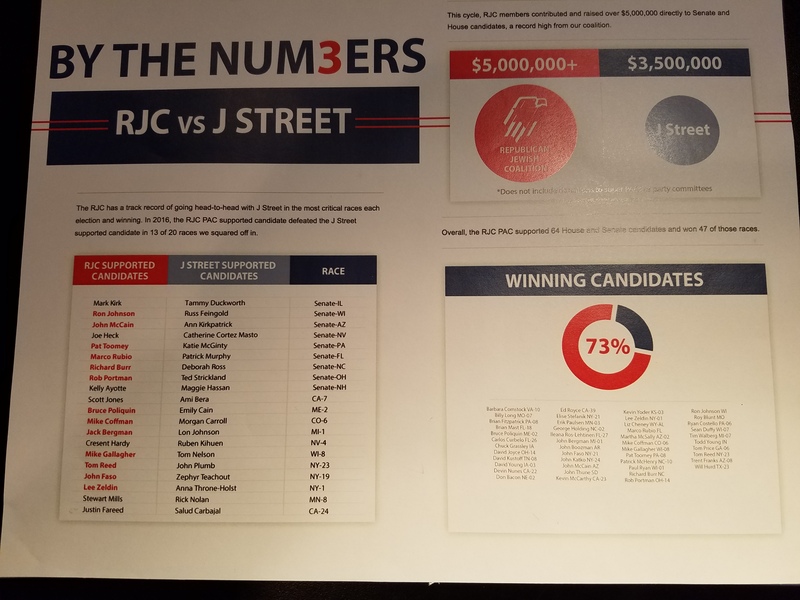 Indeed, the RJC points out that it views J Street as the competition as it supports Republican candidates for office. The RJC does not pretend to be anything but biased. However, when the media quotes J Street, it appears that it is quoting a balanced pro-Israel group, rather than a part of the Democratic machine. Articles by the Times quote AIPAC and J Street, as if the two are balanced with one being hawkish and the latter dovish. That absurdity gives a false message to readers. The media should either only quote AIPAC, or use quotes from both J Street and the RJC. As the Republicans take control of the White House and both the Senate and House of Representatives, one can envision that J Street will be attacking appointments, bills and positions over the next few years. 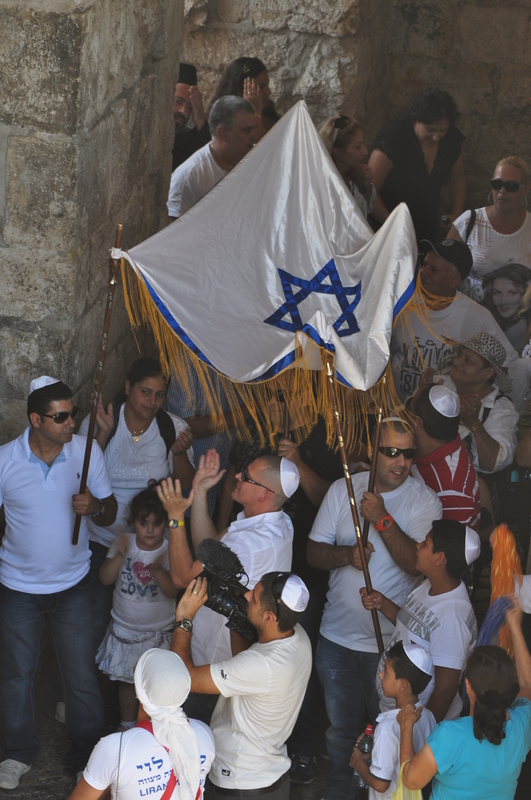 The media and readers must keep in mind that the views of J Street are simply those of the opposition, and do not represent the Jewish community’s independent views on Israel. Is Hillary Clinton as Pro-Israel as George W Bush?